Recently Fairleys put on another good evening of whiskey tasting by hosting Glendalough Distillery and their brand ambassador Gary Dunlop who would take us through the nights line up. 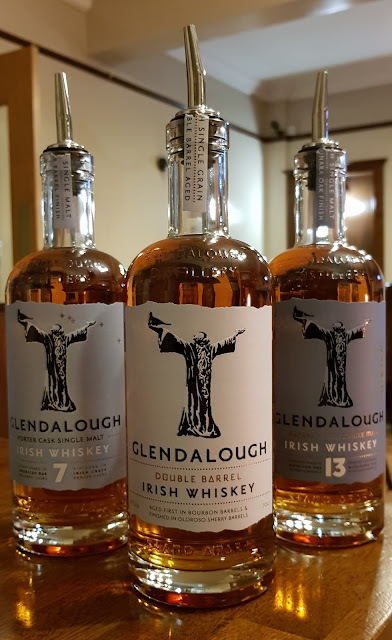 Set up in 2011 Glendalough Distillery is starting to become one of the elder statesmen of the new crop of distillers in Ireland. Originally producing poitin they have since diversified into gin and of course whiskey. 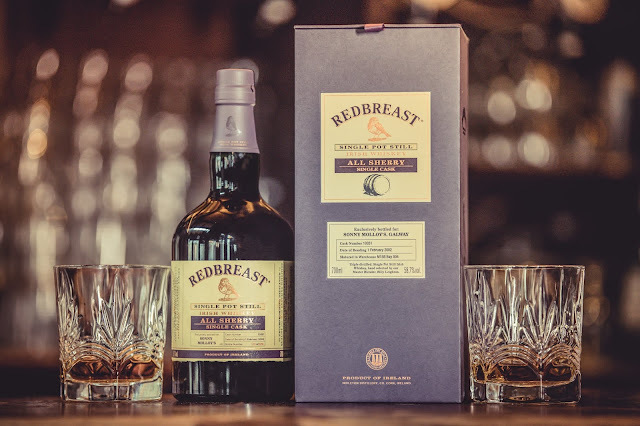 Famously they released a 13 year old single malt, an unusual age statement that raised a few eyebrows when released but which just so happened to be the shirt number of Glendalough investor and former Irish Rugby international, Brian O'Driscoll. Of the lineup on offer on the night only the single grain whiskies were actually distilled by Glendalough. The 7 year old & 13 year old single malts are at this time sourced from other distilleries and then finished by Glendalough themselves. The full line up was the Double Barrel Single grain, & 7 year old Porter Cask finished single malt, 13 year old Mizunara Cask finished single malt (of which you can read my review of from Malt), Single Cask Grain Calvados Cask finish and Single Cask Grain Burgundy Cask finish. As is often the case with these types of tastings the notes I'm providing here are pretty basic as you don't get a lot of time to sit with the whiskies before being moved on to the next (apparently brand ambassadors have homes to go to!). Finish: pretty short, dry and oaky. Single Cask Grand Cru Burgundy Cask finish single grain: 3 years in 1st fill ex-bourbon and up to a year in Grand Cru Burgundy wine casks. 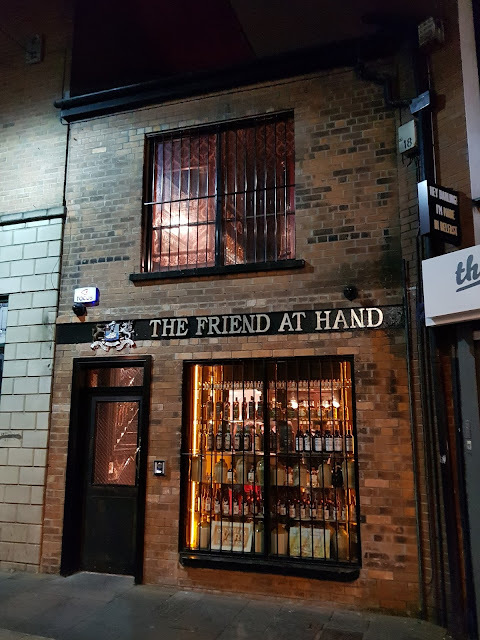 366 bottles per cask, 42%, £40. Nose: Quite tight, european oak presence, tannic, earthy, red berries, underlying bourbon influence is muted. Lets start with the which was the Calvados Single Cask. The nose was full blown Calvados but the palate was just totally lacking.....really not much going on at all and deeply uninteresting. The 7 year old single malt is one I would avoid too. The nose promised so much only to be let down by a flat and uninspiring finish, Not even a year in the porter casks could elevate the base whiskey. Next the Burgundy Single Cask. A pretty sterling effort this one and I have to say I was quite taken with it. The grain spirit seemed to interact well with the wine cask. Much more flavourful and interesting than either the Calvados Single Cask or the Porter Cask single malt. Probably my favourite of the night was the Double Barrel single grain. A really approachable and easy drinking single grain whisky that certainly seems more mature than it is. Although more expensive than other entry level whiskies like Jameson or Bushmills White Label it's definitely worth investigating.